This is a 3rd party guide to evaluating all-flash storage arrays. 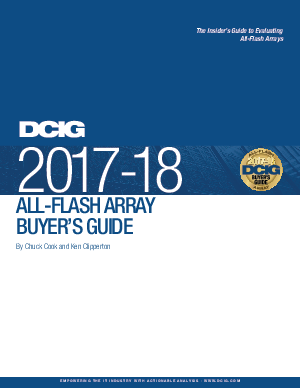 DCIG researched the features of more than 80 all-flash arrays for its Storage Array Body of Research. Recognizing that there are multiple market segments for these products, DCIG grouped the products into midmarket, small and midsize enterprise, and enterprise classifications.This guide includes the products that ranked Recommended, Excellent or Good among the enterprise grouping of arrays.